Free Internet Marketing Ebook Library - Instant Download! "Kick Start Your Online Business..."
...By Instantly Downloading This FREE Internet Marketing Library! 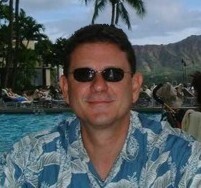 Hello, my name is Terry and I know how hard it is to learn Internet Marketing and make money online. A $189 Value! Download these easy to read and understand e-Books and get started off right! You will use them as reference material for years to come! Your FREE Marketing Library Now! Your privacy is highly respected. We hate spam just as much as you do. We will never rent, share or sell your email address with anyone!